What else can be said about this one? Not much. Purely sublime music. Period. Call it progressive house, trance house, glitchy techno,… It trancends categorisation at all levels. It is, perhaps, my favourite techno track. No expiry date no matter how many times you play this. This tune takes you up there without need for any kind of narcotics. It is so well built, so creative and playful. It stays true to the title. From an area of low depression, some rays of light are coming through until we reach a delirium tremens, with the sun in all its splendor shining upon us. Some kind of trance situation which will bring you to a soothing and safe landing. No more no less. This is a trip on its own. I have never taken drugs, but I do believe that based on what I have seen, this anthem takes you to a loving, caring and heavenly dimension. Where i would very much like to be right now. 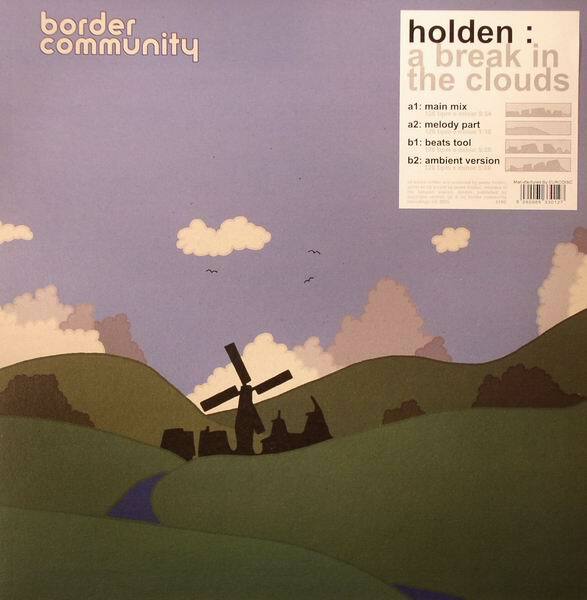 This was the first release on Border Community. The best to date followed up very closely by Nathan Fake’s ‘The Sky Was Pink’. Pretty sure you know this by now… so instead of giving you what I have described above, I offer you the ambient version from the man himself. Just for fun. Absolute genius.